We love St. Patrick's Day around these parts, being of Irish descent. Erin go bragh! 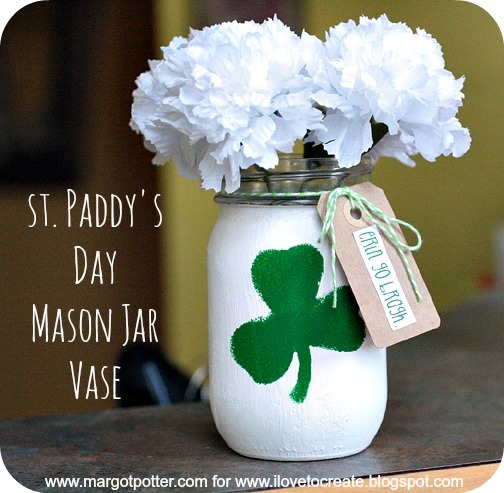 Avalon wanted to make an Irish themed craft for St. Patrick's Day using a mason jar. 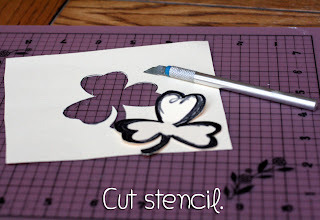 This mason jar vase is so simple to create and you can customize it however you like by cutting a different stencil, using different paint colors or adding a different message. All you need is a mason jar, Crafty Chica Little Paints, a manilla folder, a tag, twine, Aleene's Tacky Dot Runner, a computer printer and a few coats of Aleene's Spray Acrylic Sealer. In under an hour, you'll have a pretty vase for your favorite faux flowers. 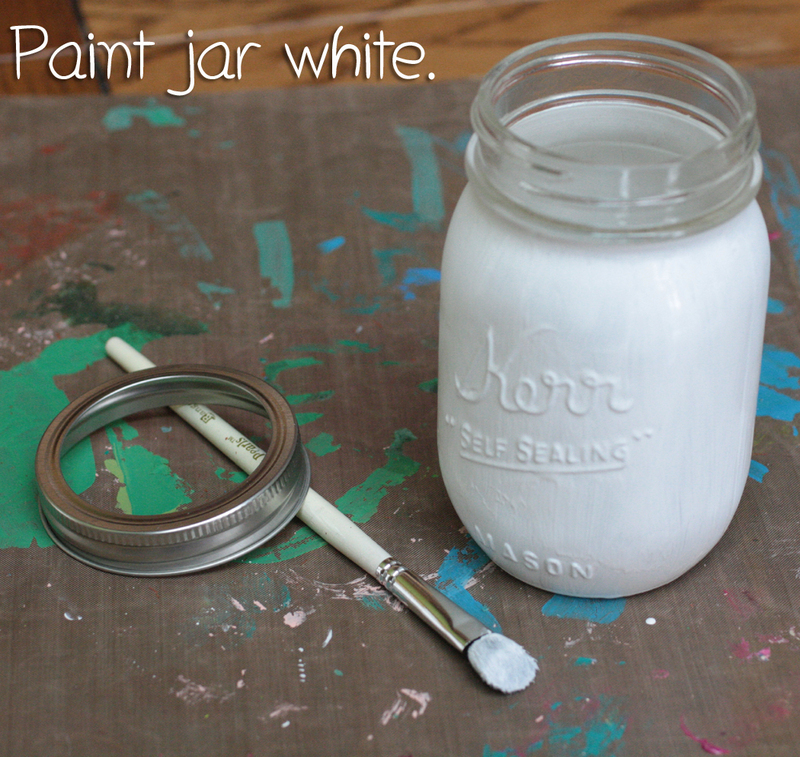 Paint the outside of your jar white. Two to three coats will be needed. Let it dry completely before the next step. Free hand draw a shamrock or find a permission free image online. Ours is about 2" long and wide. Use a craft knife and a cutting mat to cut your stencil out. Use a Tulip pouncer to stencil green paint on front of jar. Allow to dry. (We liked the fuzzy edges, but you can, if you so choose, go back in with a small brush to clean the image.) 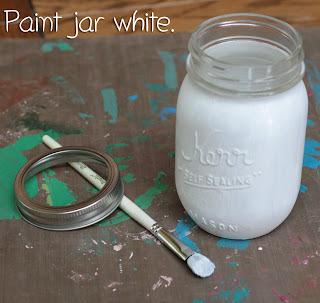 Once paint is dry, spray 1-2 coats of Aleene's Spray Acrylic Sealer in matte finish. Allow to dry. 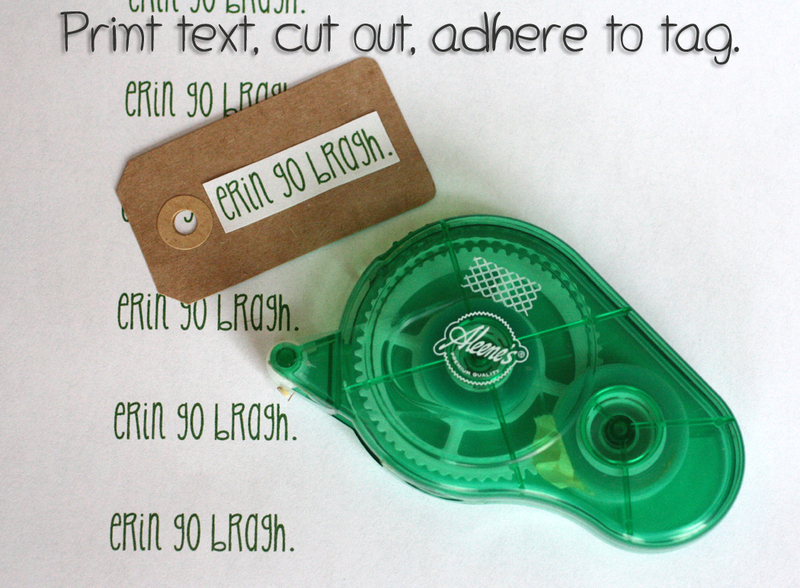 Print text in green, using the KG Skinny Latte font at 28pts. Cut text, use Aleene's Tacky Dot Runner to adhere to small kraft paper tag. 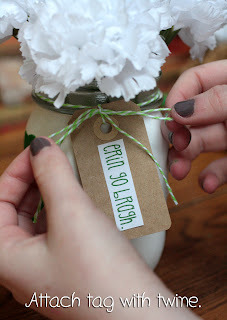 Use green and white baker's twine to attach tag to top of jar. 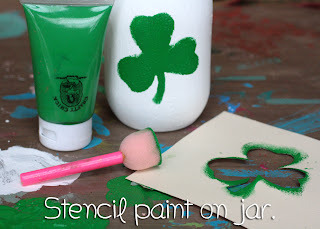 Great idea, but incorrect grammar in regards to St. Patty. 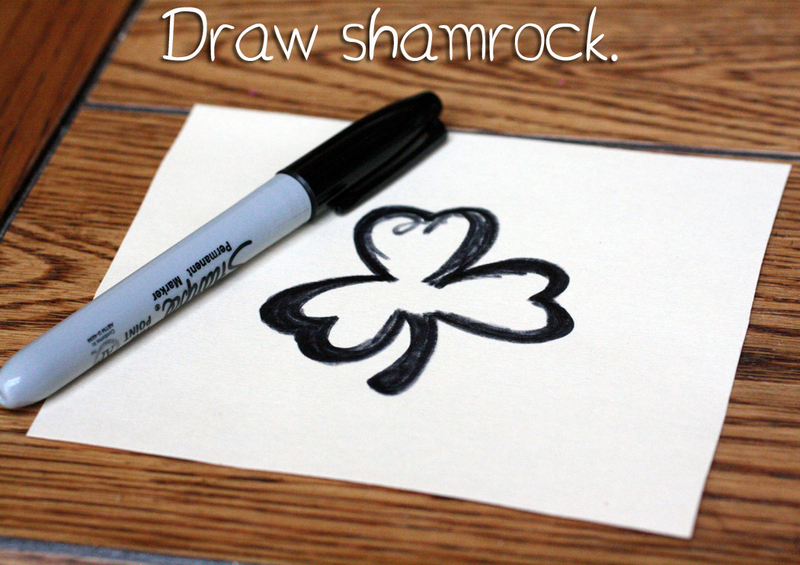 The shortened version of St. Patrick is St. Paddy, short for Padraic, the Irish translation of Patrick. Just an FYI! That's right! I should know better! Will fix that asap!